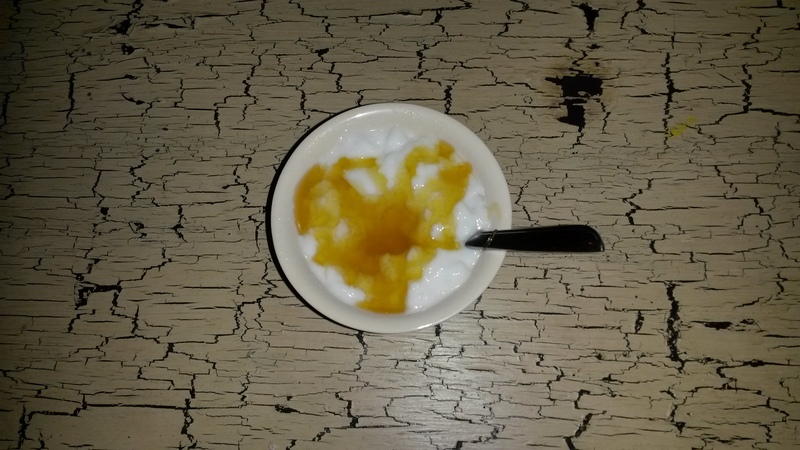 Tonight when K offered me a snack, I asked her to bring me a bowl of my coconut yogurt with a drizzle of honey. I heard her dishing it up, and I heard her opening the cupboard where the honey is… and then I heard a lot of concentrating. Yes, I know K well enough to know the sound of her concentrating – even (and especially) when she’s being silent about it! “You’re making a heart!” I shouted from the lounge. Well, as I always like to remind K, I know everything 🙂 And I definitely know the sound of her turning my food into heart shapes. Here’s the recipe for my homemade coconut yogurt – SCD, paleo and AIP friendly. Honey-heart optional!